While the rules surrounding cannabis cultivation, processing and sales vary from province to province, now that marijuana is legal in Canada, one thing remains the same – your cannabis based business requires top level security to keep your product and employees safe, as well as to ensure you meet regulated security requirements. Focusing on these areas will ensure that your company is protected, while also better enabling authorities to act in the case of a break-in or employee crime. How can Sonitrol Western Canada help? At Sonitrol Western Canada, we have years of experience keeping legal cannabis-based businesses protected from criminal activity and helping them maintain compliance. 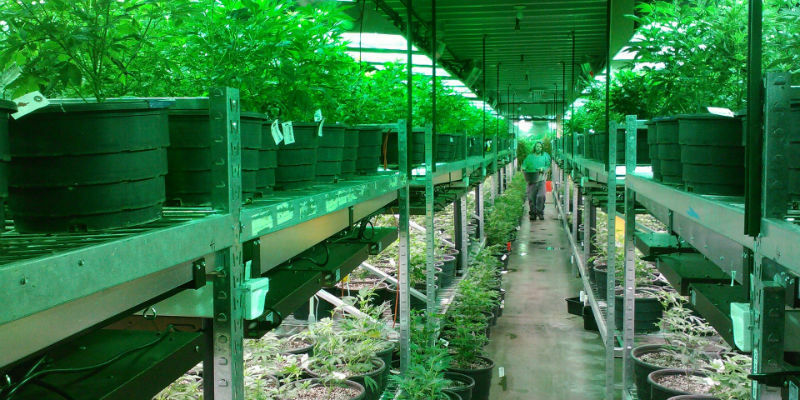 Sonitrol’s security consultants will design a verified and fully integrated security system for your marijuana operation that employs the best physical security for your perimeter fences, windows, doors, with authorized personnel only access control. Our verified SonaVision technology will allow our team of operators to remotely monitor your property through video solutions that are considerably superior to CCTV. Conventional CCTV only records activity, providing you with an after-the-event video that may or may not help the authorities in catching the perpetrator. This is even assuming that the criminals have not removed the digital recorder or damaged it enough that there is no record. In the case of a break in, Sonitrol will stream live video directly to the responding police units the moment a break in is verified by our operators, ensuring the authorities are able to catch the criminals in the act. In addition to SonaVision, our security solutions include verified audio intrusion detection. Because our verified alarms are sound-based (not motion-based), when an alarm is triggered, our monitoring professionals can listen-in to determine whether a break-in is in progress, or whether a false alarm has occurred. If it is a break-in, we immediately dispatch police and relay real-time information to the responding officers. If it is a false alarm, we simply reset the system without bothering you or the police. 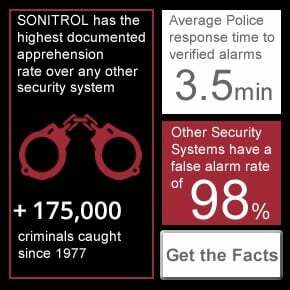 This ability to verify alarms means Sonitrol has the highest apprehension rate and the lowest false alarm rate in the industry. Sonitrol security solutions also include integrated access control to securely manage entry to gates and doors - only allowing those who are authorized to enter. Our systems record all authorized entries and unauthorized entry attempts, adding another layer of security for your marijuana business. This is also an effective way to limit access to products based on job duties and requirements, ensuring only those who need access have it. 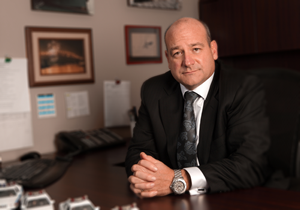 As an added level of security, you can feel confident knowing that professional criminals know the Sonitrol name; how our security is very difficult to defeat and how, as a verified security solution, police departments across North America give a prioritized response to Sonitrol calls for crimes in progress. As a result, many professional criminals will not attempt to rob or break into a facility protected by Sonitrol. For more information on our security solutions for cannabis based businesses, please contact us today for a complimentary security audit.